I'm happy to welcome Michelle of HERPRESIGN™ to the blog today. She will be guest blogging and sharing her recap on the 15 anniversary party for Martha Stewart Weddings that recently took place in NYC (along with some of her own personal photos she took at the event . . .
As I headed up to New York City for bridal market and media meetings, I couldn’t help but get excited about the Martha Stewart Weddings 15th Anniversary celebration. I woke up Monday morning ready to countdown the hours until the biggest wedding industry party of the year. When we pulled up to The Plaza that night, I knew it would be one to remember. We were greeted with live music, drinks and The Pipe Cleaner Lady. On the next floor you could have your photo taken in front of a mock MSW 15th Anniversary magazine cover. The photo was ready in minutes so you could take it home as a party keepsake. As we entered the main party floor, I was blown away. 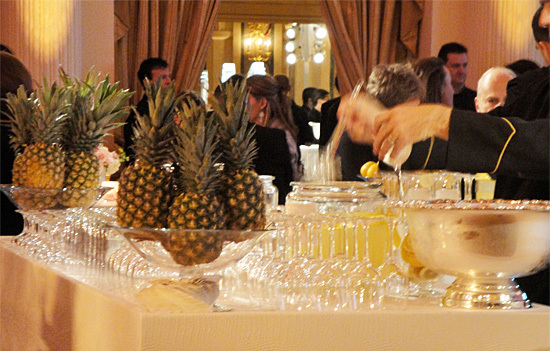 Amy Atlas designed an incredibly chic and classic dessert bar. 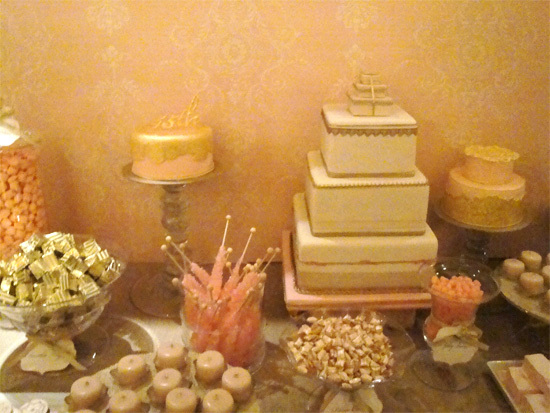 From cupcakes and candy bars to yummy macaroons, the sweet treats were decked out in shades of pink, gold and white. 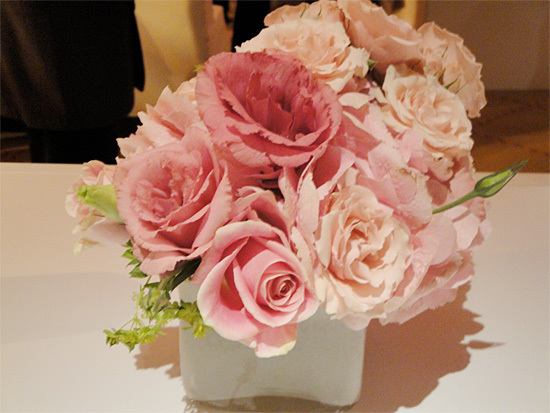 Beautiful floral arrangements, by Matthew Robbins, in shades of pink and white graced crisp tables throughout the event space. Hip and tailored white sofas and benches provided comfy seating for guests. 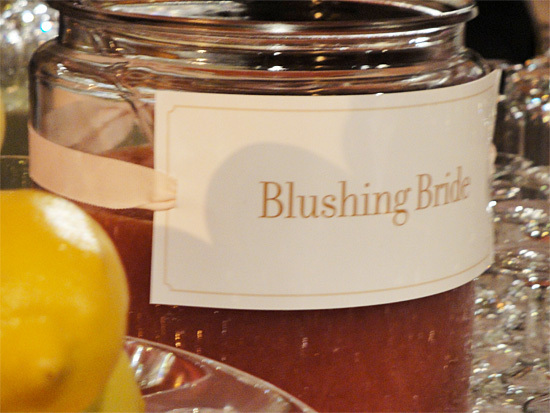 Signature drinks like the Blushing Bride and Lemon Drop, from Callahan Catering, complimented the extensive savory menu that included the cutest mini grilled cheese sandwiches. Among the 800 plus guests were wedding industry heavy hitters like Marcy Blum, Sylvia Weinstock and Preston Bailey. I enjoyed seeing old friends and making new acquaintances. I can’t wait until next year’s party! You can find more photos and event details on The Bride's Guide here and here. Thank you Michelle for taking photos and sharing the details on the amazing Martha Stewart Weddings 15 anniversary party. To see even more photos of the decadent treats from the party, please head over to the Wedding Edibles section of the blog where I share photos from Mel Barlow Photography.